2017 was certainly a landmark year for video gaming, but as we ring in 2018, it’s time to look forward to the games releasing this year. Jam-packed with hotly-anticipated sequels and brand spanking new productions, here are the 10 games we are most looking forward to playing in 2018. A Way Out is a story-driven prison break action-adventure game with a major twist: you can only play in split-screen co-op mode – you’ll have to play alongside a friend, either online or IRL. You’ll play one of two protagonists, either Vincent or Leo, and you’ll have to team up with the other and learn how to work together in order to escape. Metro: Exodus is set in post-apocalyptic Moscow and is set to be a desolate story of isolation and despair. This first-person shooter is inspired by Metro 2035, the bestselling novel by Dmitry Glukhovsky, and is a true horror survival game with crazed creatures hiding at every turn. Far Cry 5 takes place in rural Montana and your sole objective is to take down ‘The Project at Eden’s Gate’ – a dogmatic and violent death-cult. Early previews have revealed much of the franchise’s most-beloved aspects such as breathtaking landscapes and meticulously designed maps. Game developer BioWare, well-known for their story driven franchises, have taken a leap and created a multiplayer RPG action game, Anthem. You’ll be known as a ‘freelancer’ in the world of Anthem and you’ll have to don a Javelin exosuit to venture outside the safety of a walled community to explore the unknown. You certainly won’t find online blackjack NZ out there! Soulcalibur VI is the latest instalment in the classic fighter series by Bandai Namco and players can look forward to mainstays like Sophitia and Mitsurugi, while the new Reversal Edge battle mechanic makes it possible to score a well-timed counter attack against an opponent. Players will find themselves challenged to build up their reputation to become a pirate legend in the pirate-themed adventure game, Sea of Thieves. Your success will be entirely dependent on how you interact with mages, merchants, and treasure hunters. In Monster Hunter: World, the newest Capcom instalment in the series, players will be tasked with destroying ferocious beasts all the while using the comprehensive crafting system to create the healing items necessary. Life is Strange developer, Dontnod Entertainment, have expanded their horizons with this early 20th century vampire tale set in London. Playing as Dr. Jonathan Reid, a recently turned vampire, you are tasked with finding a cure for the city’s disease-ridden population, while attempting to stabilise the politics of the vampires you’re surrounded by. 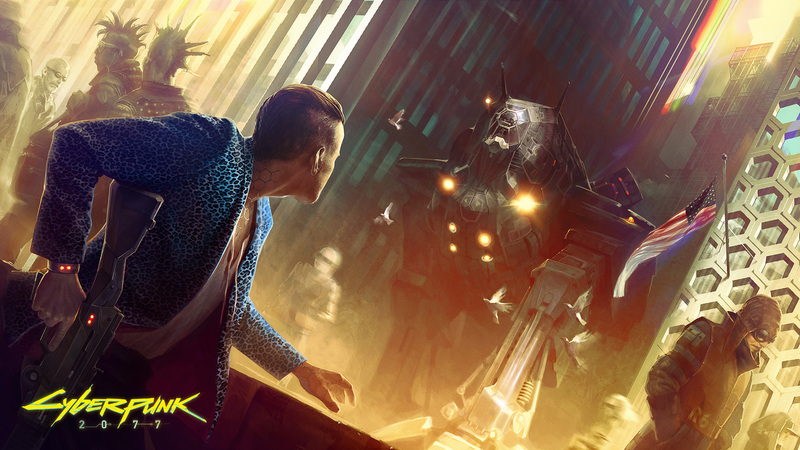 The studio that brought you The Witcher, CD Projekt Red, have dived headfirst into the Cyberpunk pen-and-paper RPG by Mike Pondsmith and early previews point to an even bigger scale than The Witcher 3: Wild Hunt. The director of the Armored Core series, mech designer from Ghost in the Shell, and the character designer from Metal Gear Solid have joined forces to create this third-person shooter/stealth game. Play as one of three different characters and attempt to survive a violent invasion by giant mechs.